iPhone developer and hacker ih8sn0w has released Sn0wbreeze 2.2 (aka PwnageTool for Windows) for creating iOS 4.2.1 custom firmware files on Windows. Just like the recently released PwnageTool for Mac, Sn0wbreeze 2.2 also incorporates the kernel based GreenPois0n exploit for untethered 4.2.1 jailbreak. 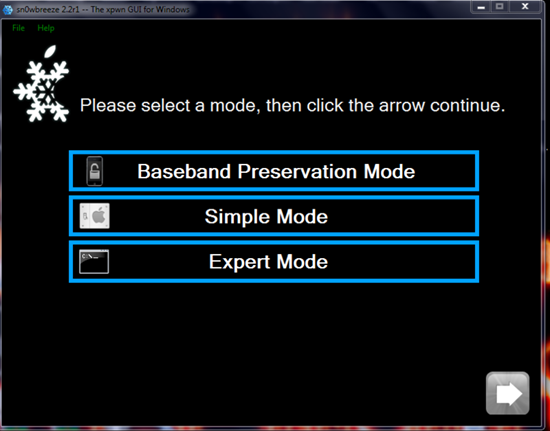 The highlight feature of Sn0wbreeze 2.2 is the new “Baseband Preservation Mode”. This new mode enables current iPhone 4, 3GS and 3G users to preserve their baseband while upgrading to iOS 4.2.1 so that they can unlock using existing version of Ultrasn0w. Also new in Sn0wbreeze 2.2 is the ability to play Pac-Man game to keep you busy while the custom IPSW is being built for your iPhone, iPad or iPod touch, along with the ability to change boot logos, thanks to GreenPois0n RC5/6 exploit. Fix for iBooks is also included. Simply follow the instructions posted here (from Step 1 onwards; Spirit2Pwn is not needed; Select iOS 4.2.1 IPSW file instead of 4.1) to jailbreak the above mentioned devices on iOS 4.2.1 untethered using Sn0wbreeze 2.2.